The church will celebrate the feast of the Ascension of Our Lord this Thursday, May 24, 2017. 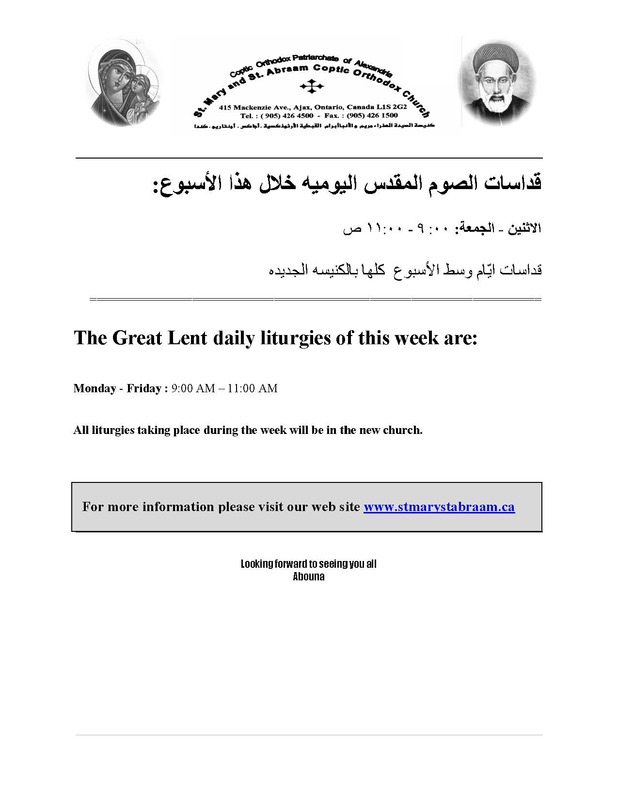 Wednesday, May 24 : Liturgy as usual 9:00 AM - 11:30 AM, followed by the Seniors meeting. Thursday, May 25 : Feast of the Ascension Liturgy 5:30 AM - 7:30 AM. Friday, May 26 : No Liturgy this day. 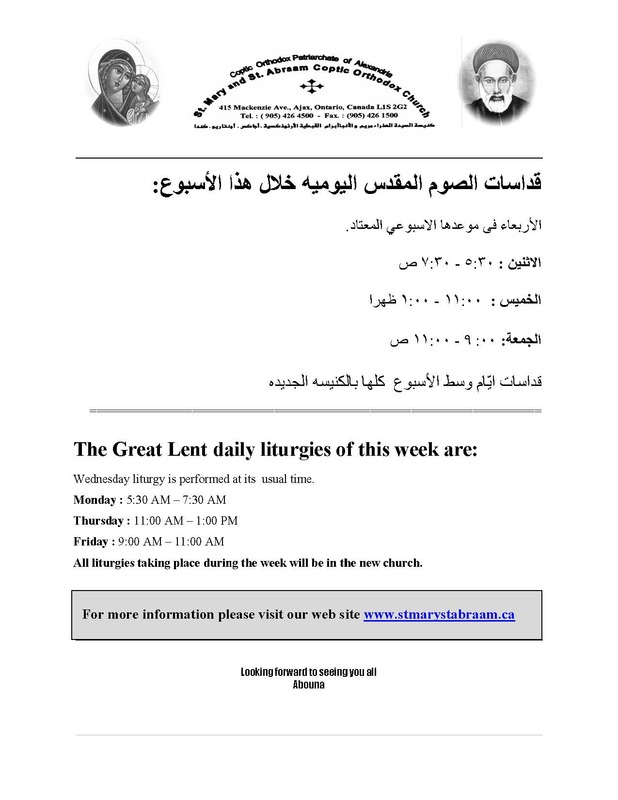 *** Please Note: The two liturgies are celebrated at the chapel of the new church. will be visiting our church this Wednesday, May 17, 2017 @ 9:00 AM. 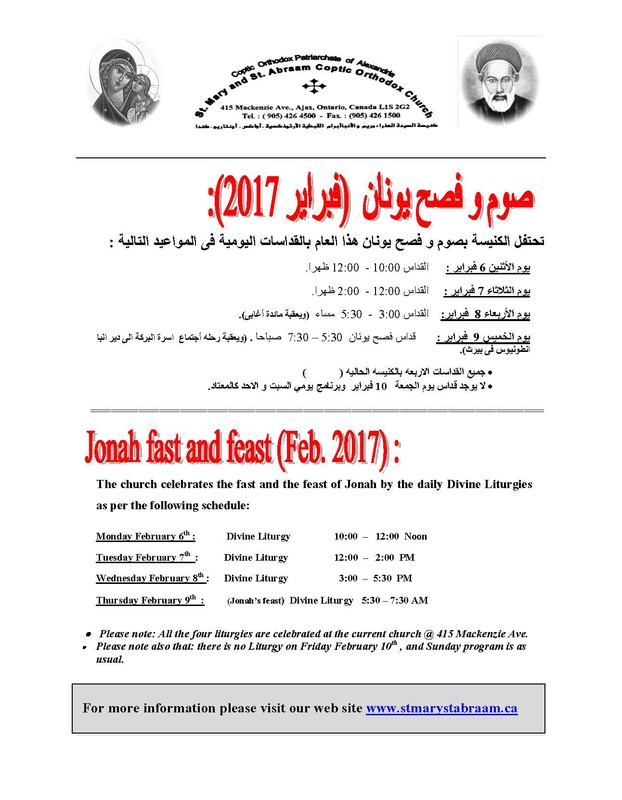 His Grace will lead the Devine Liturgy, and share an Aghaby meal with the congregation. His Grace will also bless the Church Senior's weekly meeting following the Liturgy. يوم الاربعاء 10 مايو 2017 , و يرأس نيافتة صلاة القداس الالهى الساعة الثامنة و النصف صباحا , ثم يلتقى نيافتة مع شعب الكنيسة فى مائدة اغابى و يبارك نيافتة أجتماع اسرة البركة الاسبوعى, بعد القداس مباشرة. يوم الجمعة 12 مايو 2017 , و يرأس نيافتة صلاة القداس الالهى الساعة الخامسة و النصف صباحا , ثم يلتقى نيافتة مع شعب الكنيسة فى مائدة اغابى , بعد القداس مباشرة. 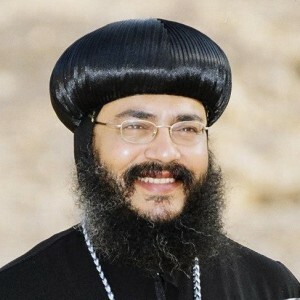 His Grace Bishop Anba Rophael the General Bishop and the Secertary of the Holy Senod , will be visiting our church this Wednesday, May 10, 2017 @ 8:30 AM. His Grace will lead the Devine Liturgy, and share an Aghaby meal with the congregation. His Grace will also bless the Church Senior's weekly meeting following the Liturgy. 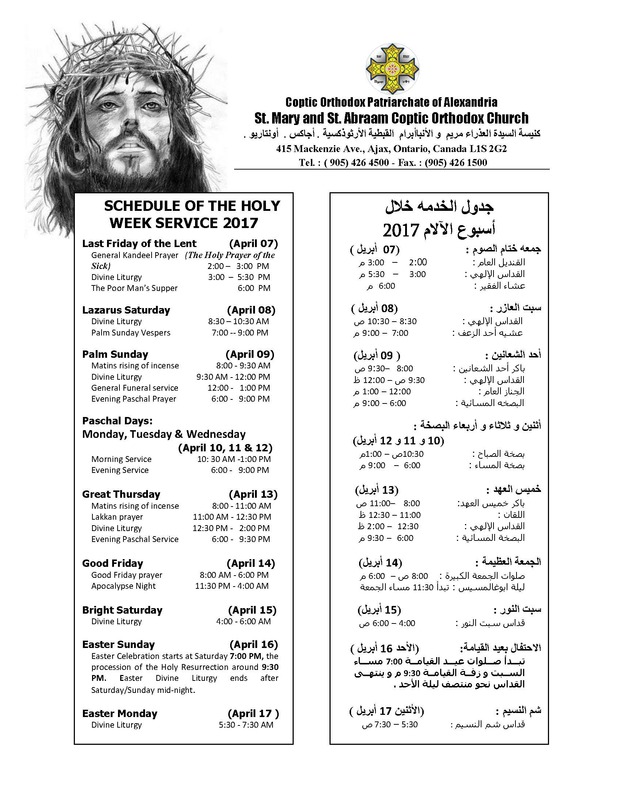 His Grace Bishop Anba Morcos , Bishop of Shobra ElKhema, will also bless our church by a visit this Friday, May 12, 2017 @ 5:30 AM. His Grace will lead the Devine Liturgy, and share an Aghaby meal with the congregation following the Liturgy. On behalf of Fr. 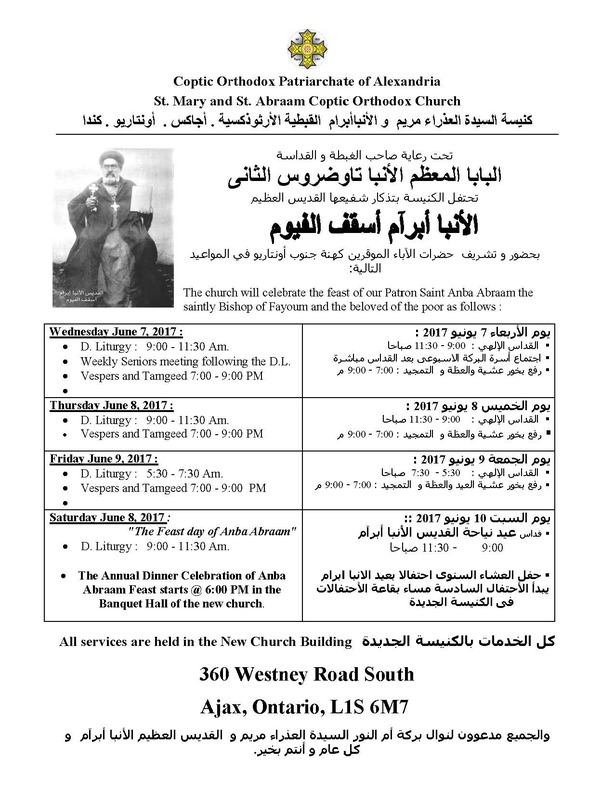 Moses Matar and the servants of St Mary and St Abraam's Coptic Orthodox Church, you are cordially invited to attend the first dinner gathering at the new building of the church. 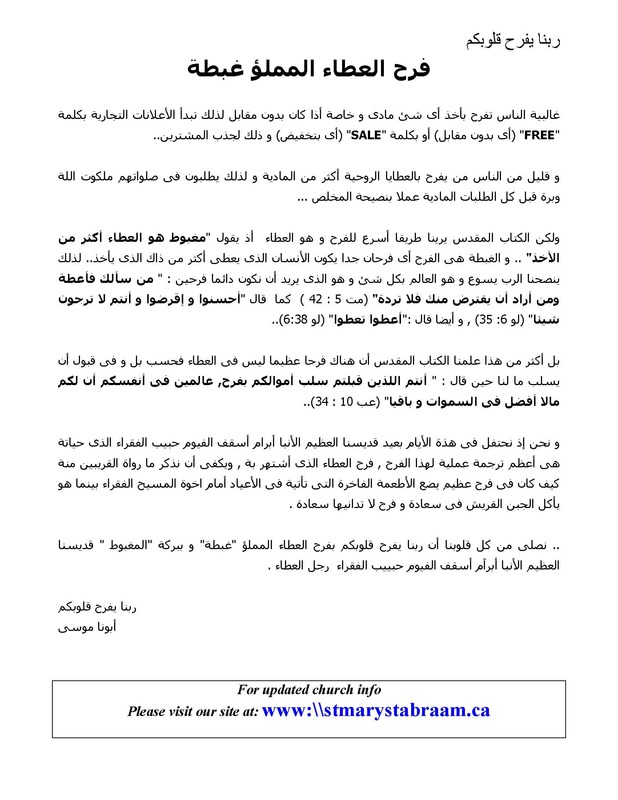 Address: 360 Westeny st, Ajax.